For about 5 years I was a “real” vegetarian. No beef, chicken, turkey, seafood, or anything that once had a face. And I was pretty strict about avoiding even traces of animal parts like broths and gelatin. Then, for about 3 years I re-introduced seafood but still stayed “meat-free”. Until a couple of weeks ago I’d had genuine land-based animal flesh just a couple of times, mainly out of desperation, like when veggie options were limited at the week-long 2009 TransRockies Run and once in Ireland, when a free-range chicken sandwich was begging to get in my belly. But this summer I’ve made some changes to my diet and eating meat has been one of the big ones. I still have some guidelines, like the meat has to be from ethically raised animals and organic/anti-biotic- and hormone-free. And generally healthy, i.e. lean, lacking gristle and in reasonable quantities. My reasoning for returning to my omnivorous ways are many but the main one is health. Yes, I know that with thoughtful preparation and plenty of advanced planning, a purely vegetarian (or at least pescatarian) diet can provide all the nutrition needed, even for an athlete. But, even with all sorts of culinary effort, I have lost as much weight – or possibly more weight – as I am comfortable with. At 6’0″, I just don’t ever want to see 140-something on the scale. And that’s not far off, as I’ve recently been as low as 150 even post-run. I need calories, iron, and protein and I just don’t know that I am willing to jump through the hoops anymore to try to get enough of all of it without meat. Wow, that’s huge! I don’t take sides, whatever strikes your fancy. Just big news after 8 years. Good decision! It’s very hard to get all the necessary nutrients without eating some meat. 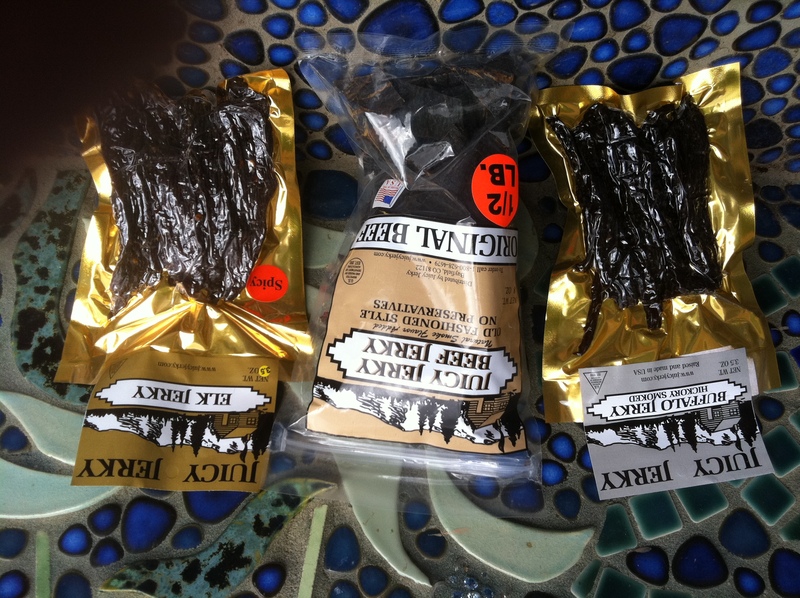 (Not sure Jerky would be my first choice, but if you love it, GOOD!) It obviously took a lot of will power to stay off meat for eight years. As always, we support you in whatever decisions you make.